USA Today uses Tom's Sculpture in an article. These statues are 12' high and constructed of core-ten steel and stainless steel, and took 4 years to build. This is another of Tom's major projects. Seaman was Captain Lewis's Newfoundland dog that accompanied the expedition. Captain Lewis purchased the reliable and loveable dog while in Pittsburgh outfitting for the famous Lewis and Clark Expedition. 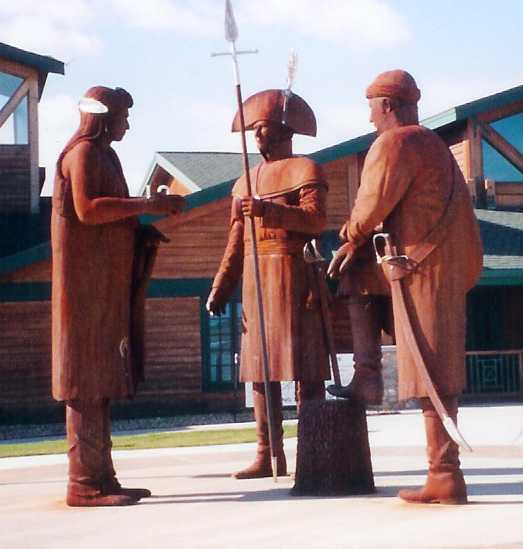 This six foot high, 1,400 pound corten steel statue is located at Seaman Overlook, Fort Mandan, on the banks of the Missouri River (2 miles west of the Lewis and Clark Interpretive Center) near Washburn, North Dakota. For detailed photos of this construction. 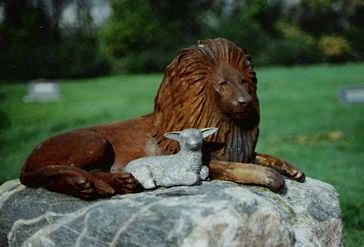 This privately-commissioned outdoor sculpture is a lion guarding a lamb. The lamb will remain silver in color over time, as it is made of stainless steel. The lion (150 lbs. ), however, will rust to an orange color. Enlarged, detailed views of the following sculptures are found by clicking on each photo. EAGLE - "We the People"
Neary's first major work can be found in Custer Park on Thayer Ave. in Bismarck, ND. The sculpture "We the People" a four-time's life-size Bald Eagle was commissioned by the Bismarck Park District and funded by the Bismarck Eagles Club to commemorate the Bicentennial of the U.S. Constitution. 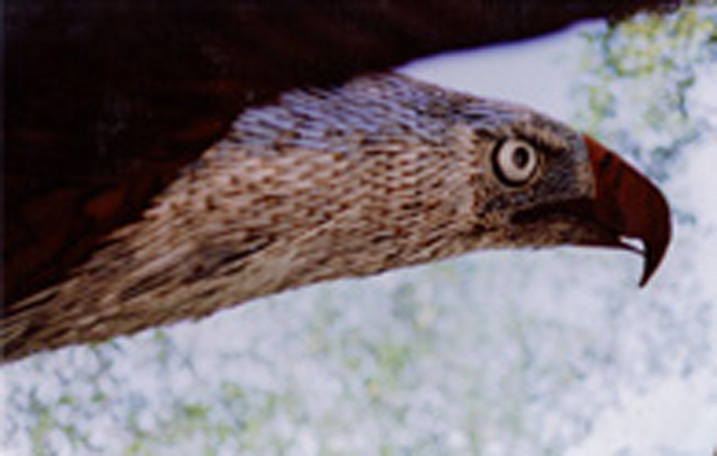 The Eagle has a wing span of 32', is 16' long and weighs 3 ton. It is built with a pipe frame and covered with steel plate cut and shaped like feathers. The head and tail are stainless steel and the rest of the body is mild steel that has been allowed to oxidize (giving it a natural color). 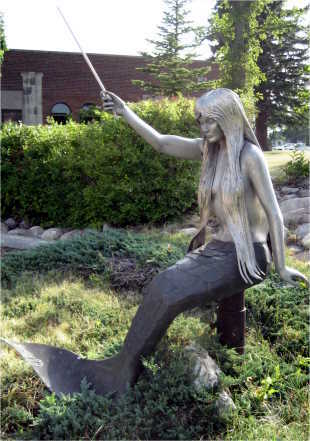 Misty was commissioned by the Riverdale Centennial Commission (they wanted to incorporate a mermaid as the city symbol) and was unveiled on July 4, 1990. Riverdale had its beginnings as a town along the Garrison Dam on the Missouri River, where Lake Sacagawea was formed. Misty is life-size at 7' tall and 200 pounds and was created of hundreds of three-quarter by one-quarter stainless steel and brass bars welded together and ground down to a smooth finish. 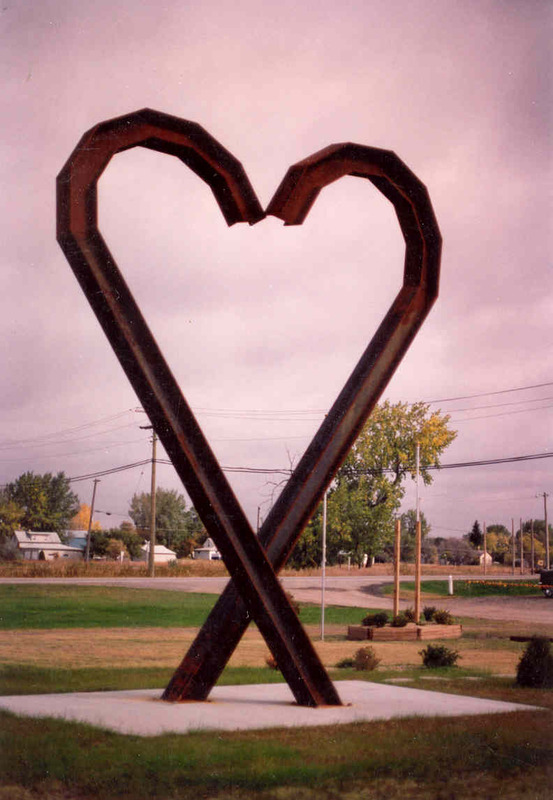 She is located in the town square of Riverdale, North Dakota. it stands 6ft. tall and weights 200 lb. 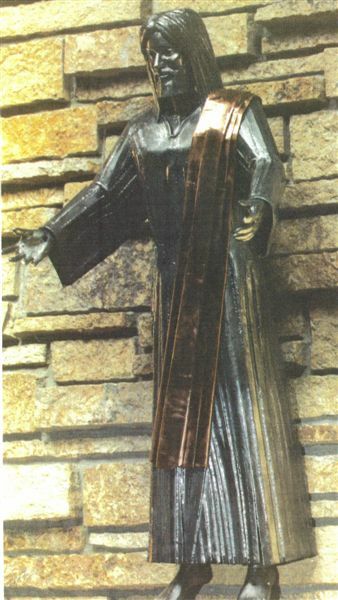 The sculpture is located in St. Edwin's Catholic Church in Washburn, ND and was dedicated on Easter Sunday 1989. 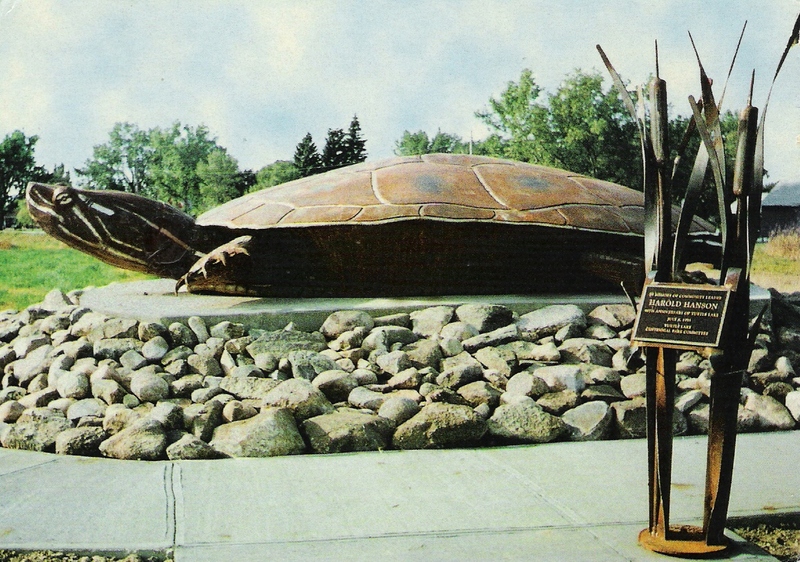 "Rusty" the turtle is in a natural setting that represents the painted turtles that live around to town of Turtle Lake, ND. 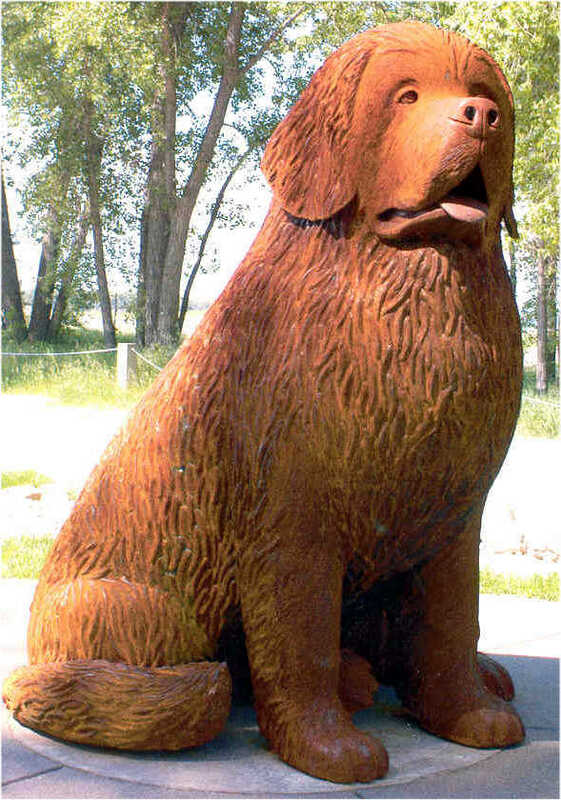 Rusty is made of steel and stainless steel and measures 3' tall and 14' wide and 24' long and weighs 3,000 lbs. 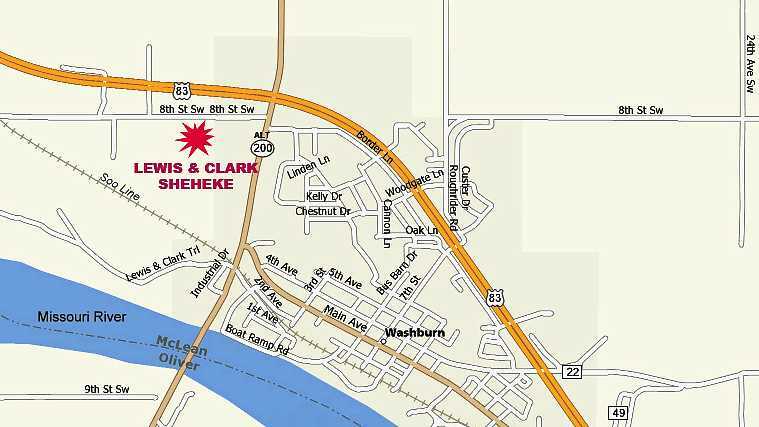 He is located just off of highway #41 at the entrance to Turtle Lake, ND. Rusty was dedicated on Turtle Lake's 90th Anniversary during Turtle Lake Days - July 8, 1995.
of steel I-beams, 12 x 12 x 95 and is 22' high. The two sides of the heart cross but do not touch.